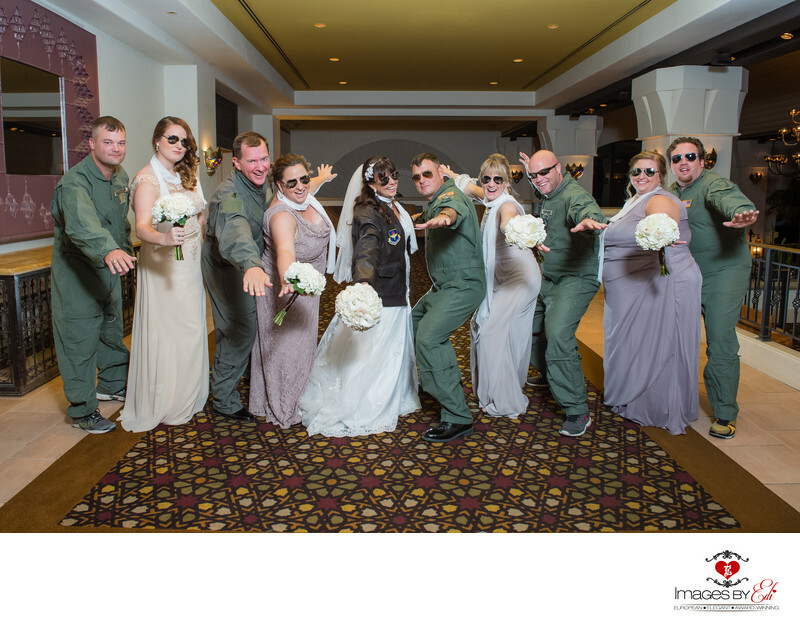 The wedding party dressed for a TOP GUN inspired grand entrance – sporting aviator sunglasses, leather bomber jackets and Air Force flight suits. The groom is a pilot in the Air Force, and the bride was his flight teacher, that’s how the couple first met. The rest is history. They picked the Westin Lake Las Vegas Resort to say "I do".